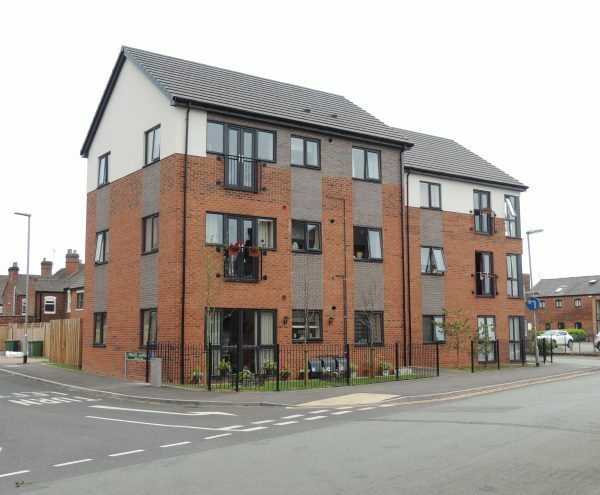 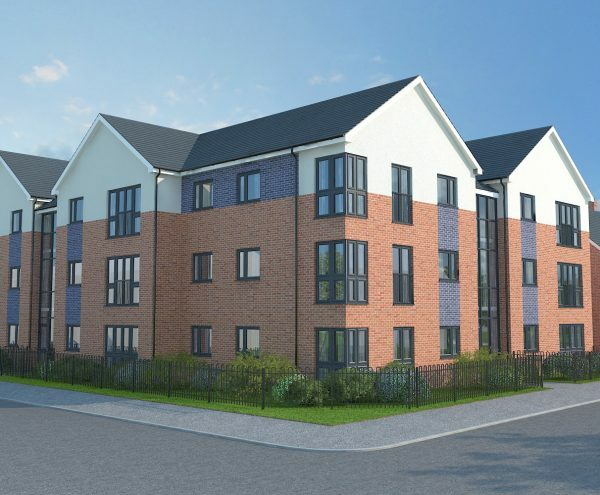 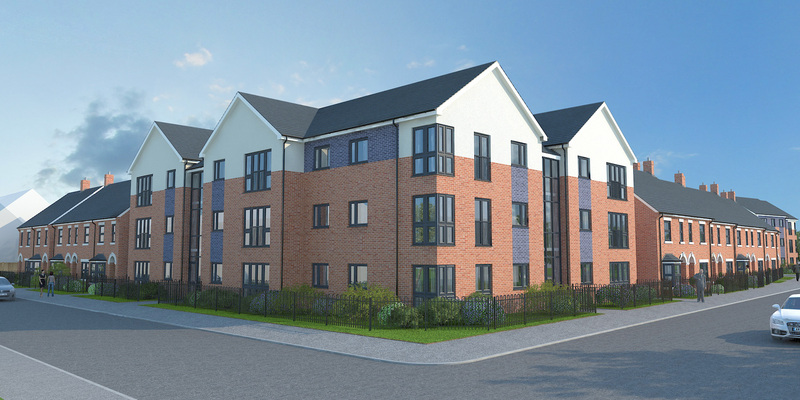 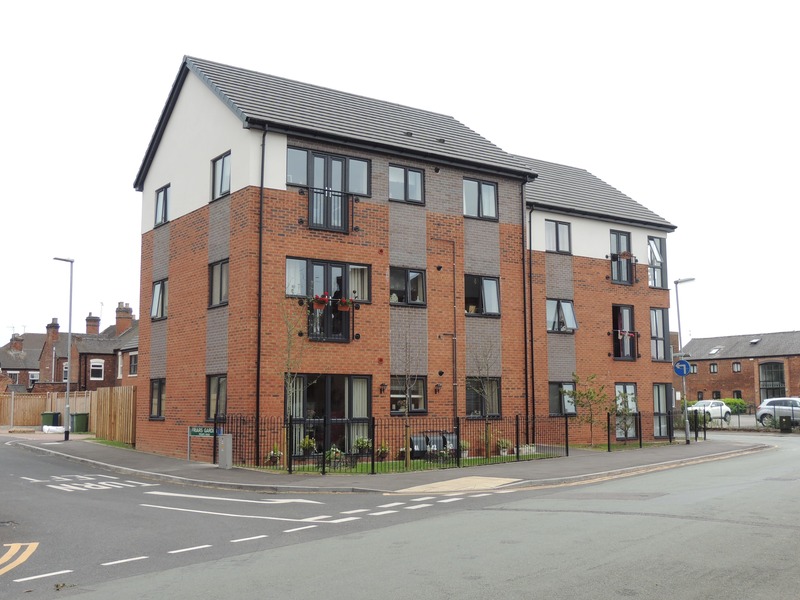 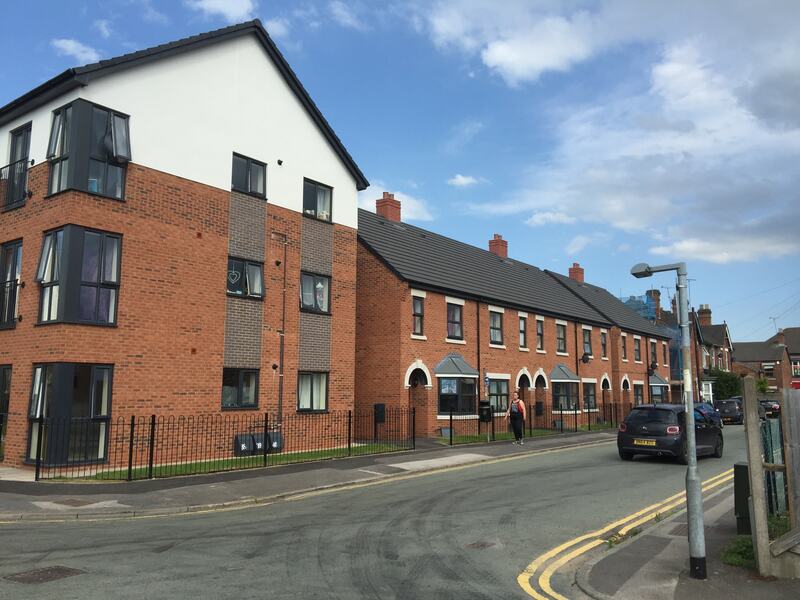 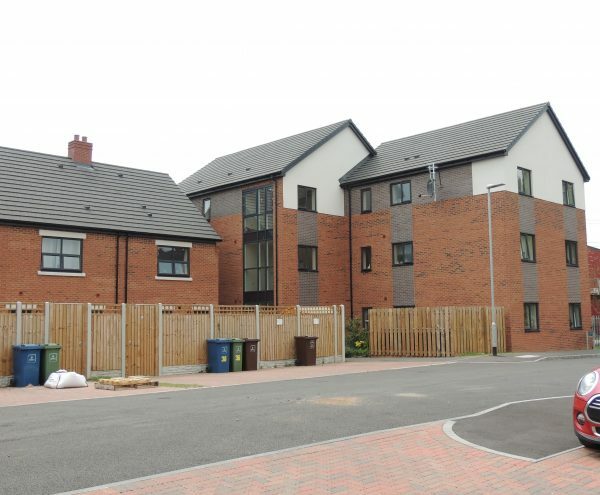 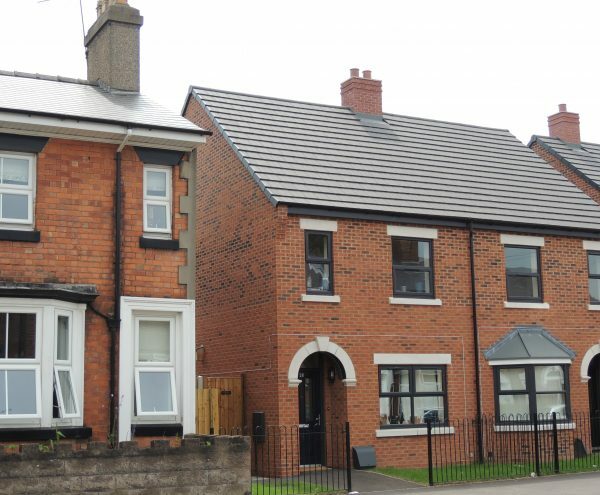 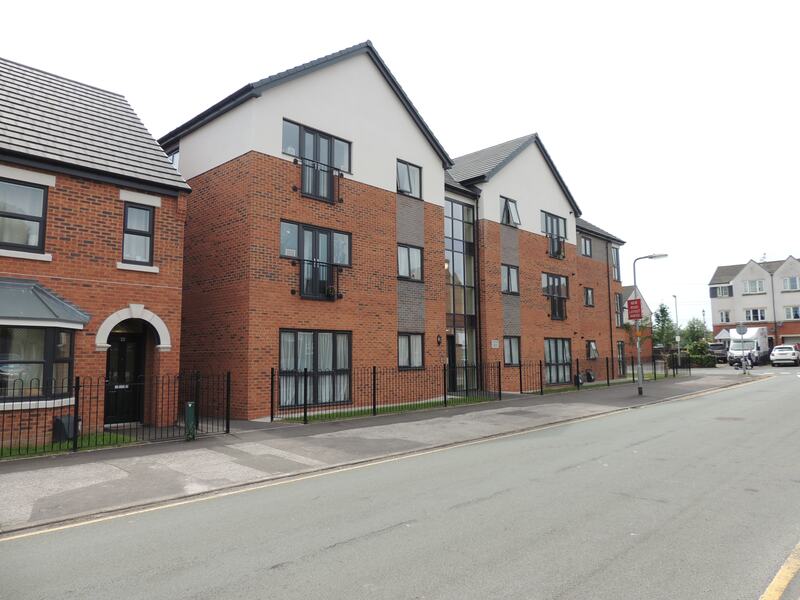 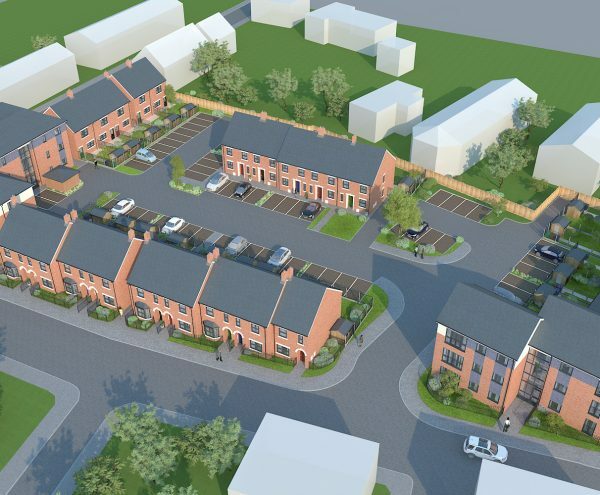 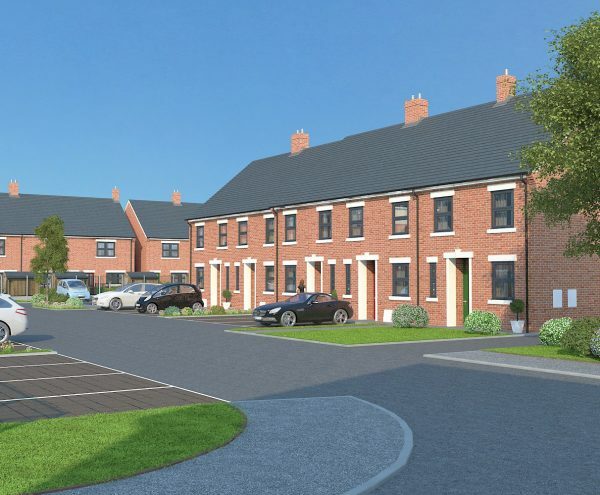 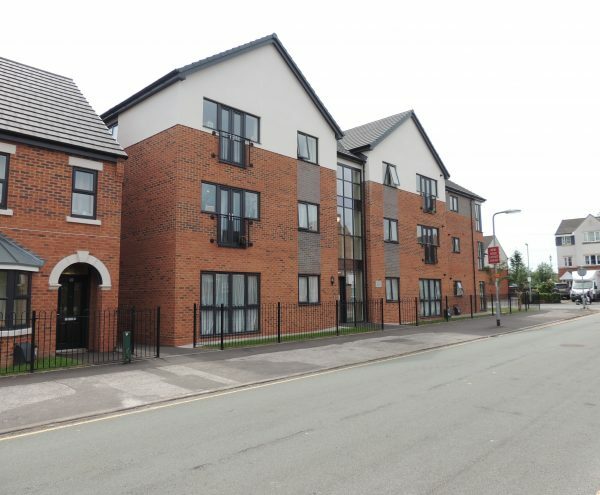 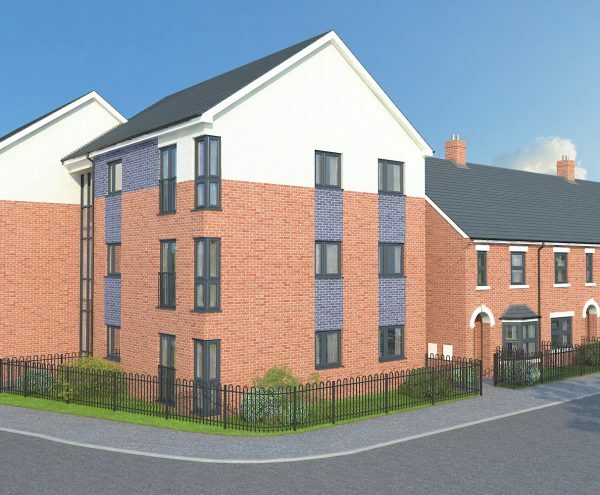 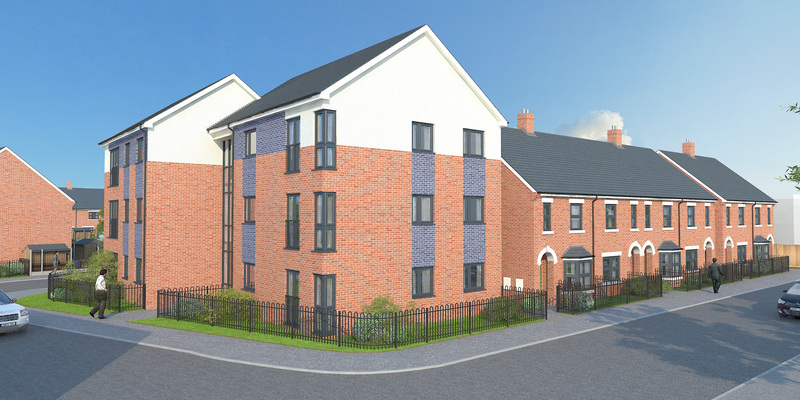 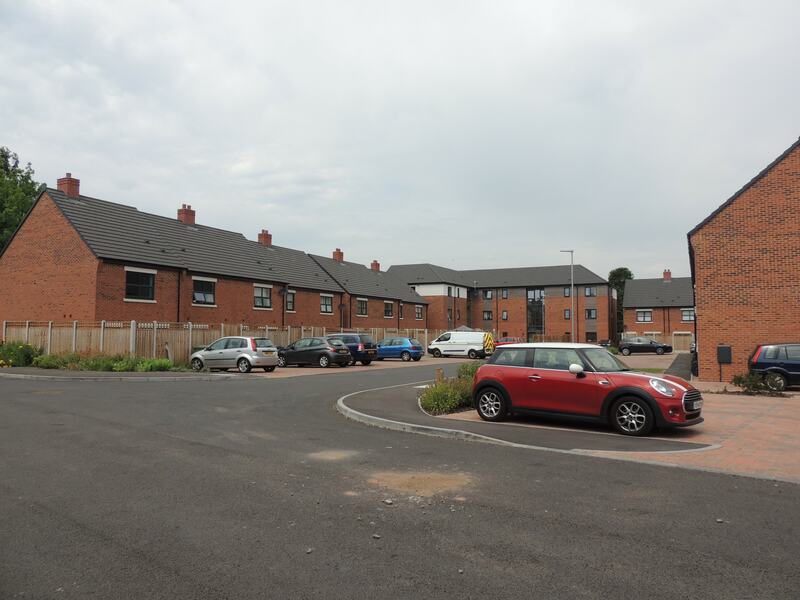 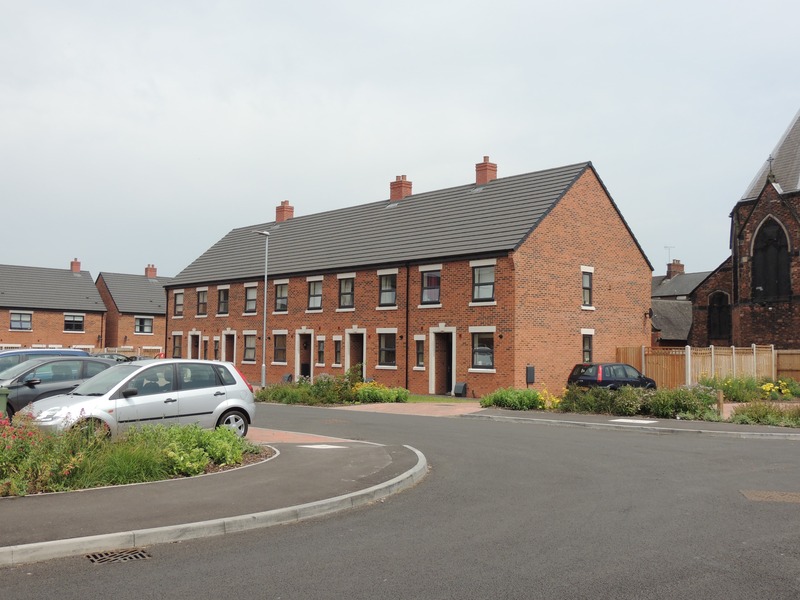 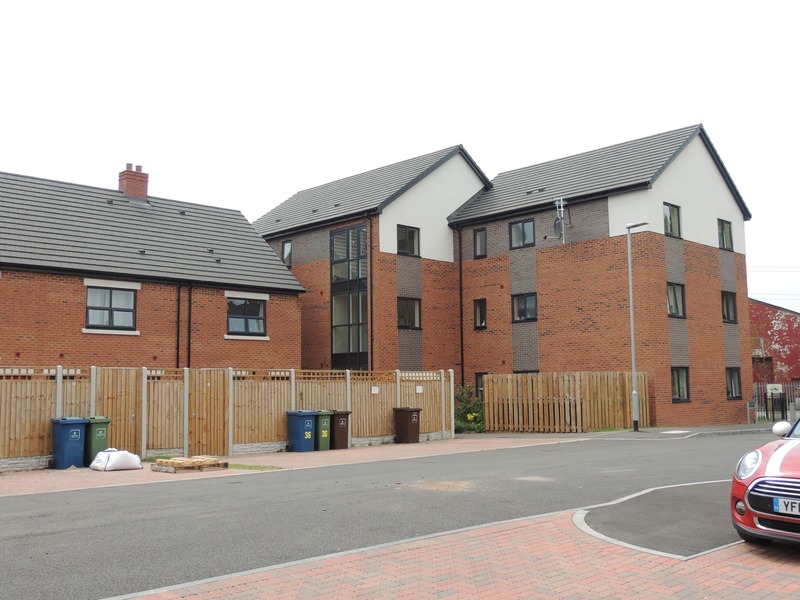 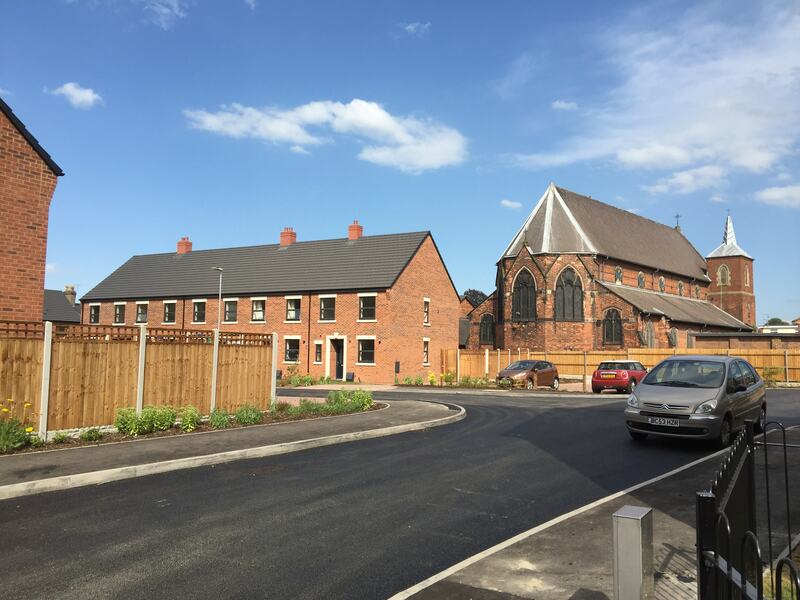 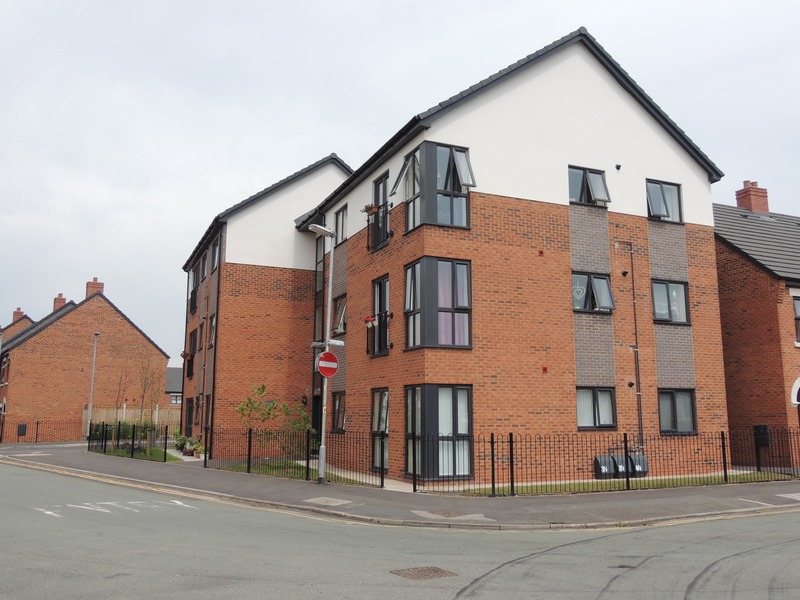 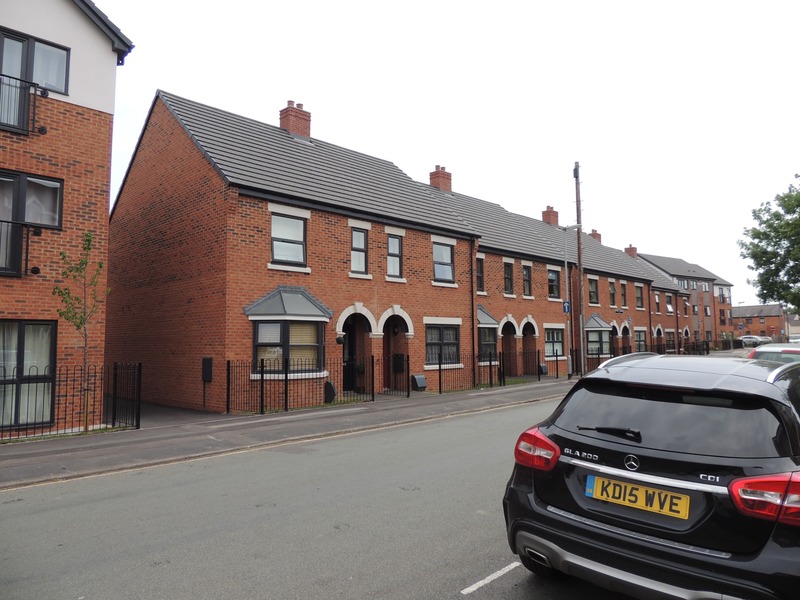 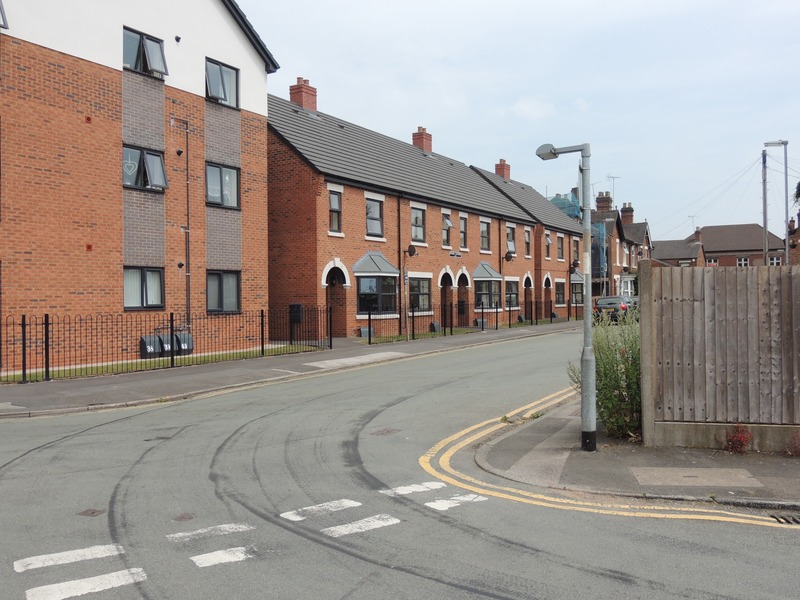 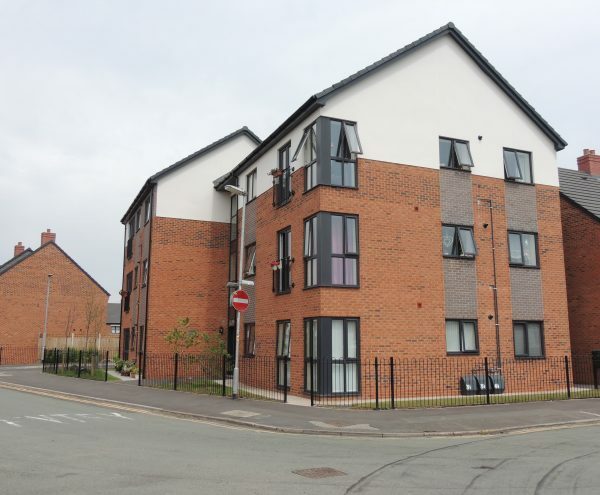 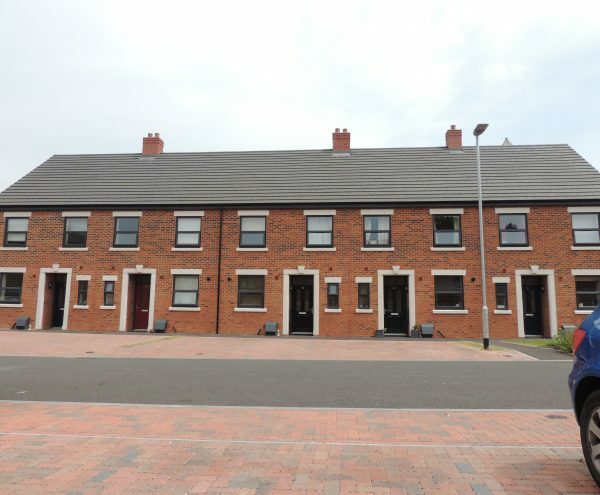 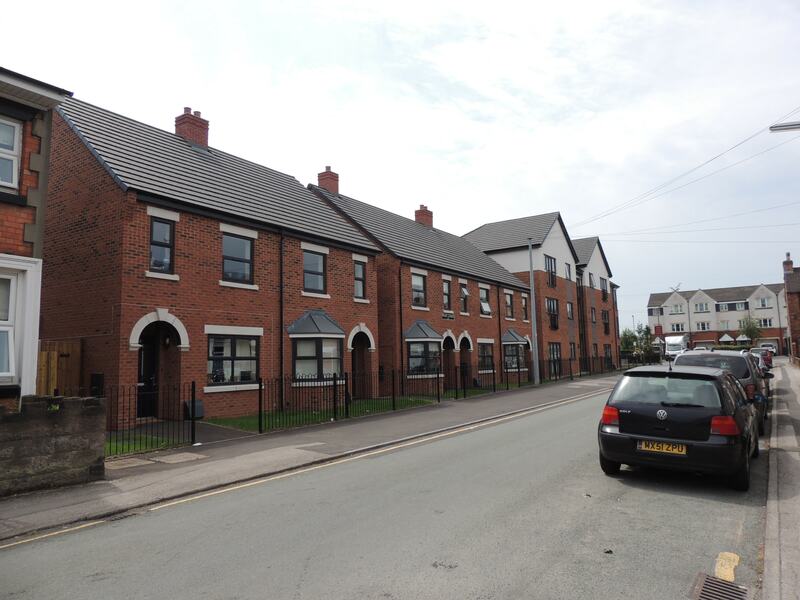 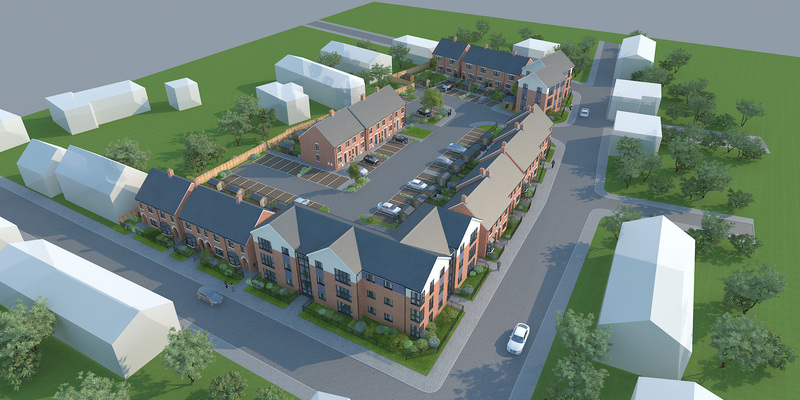 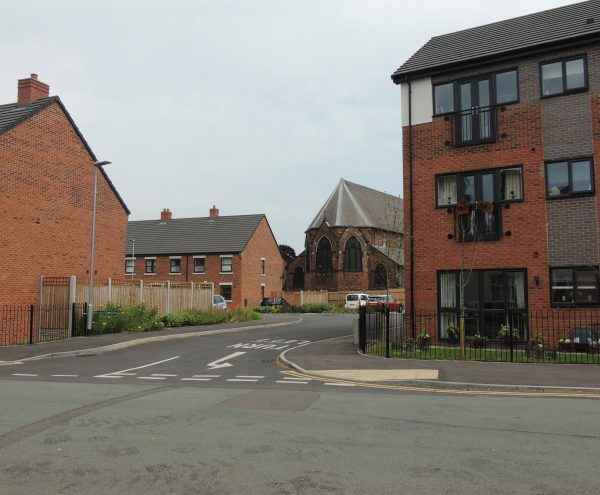 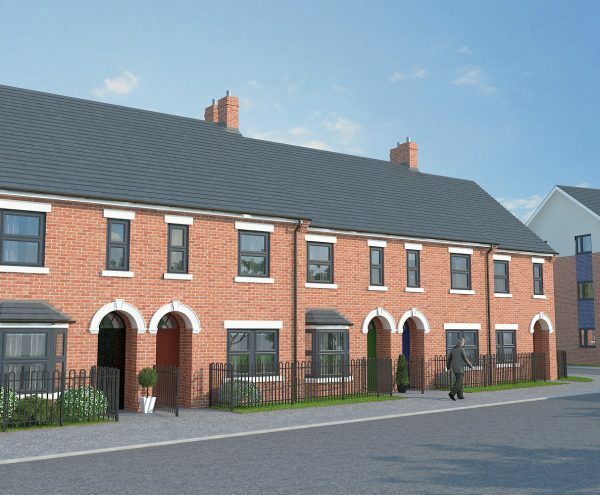 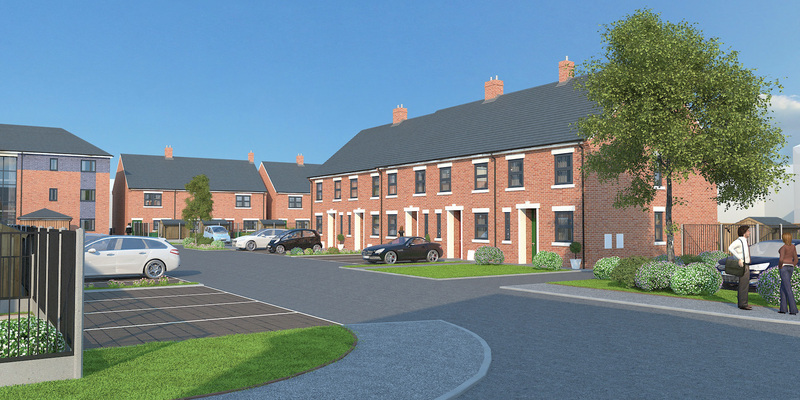 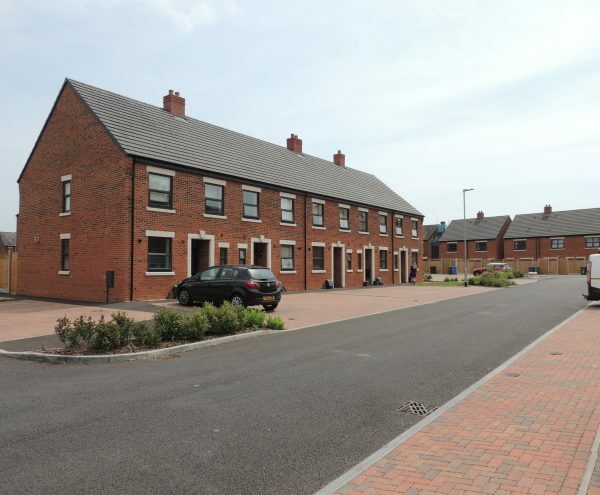 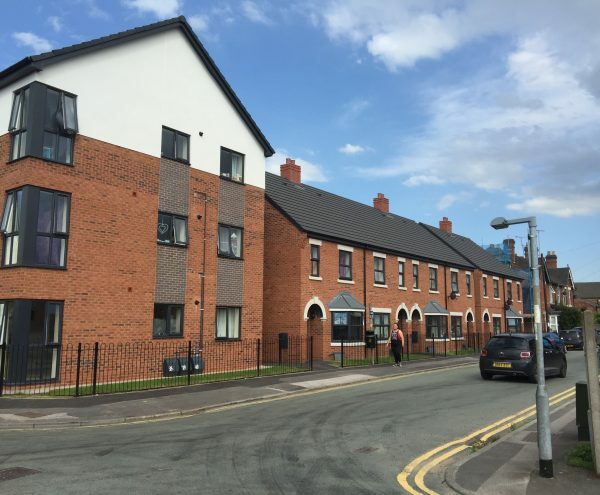 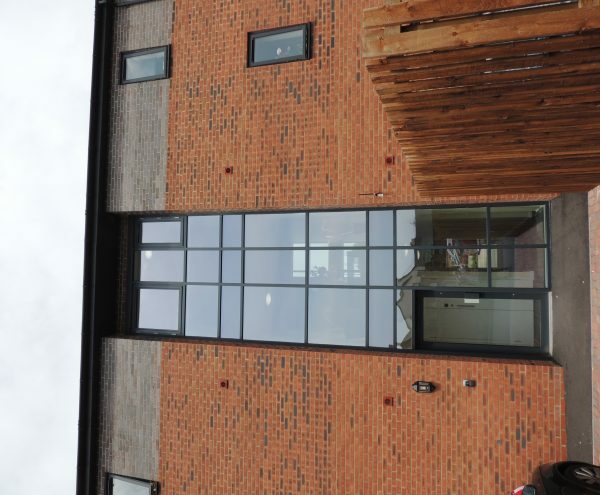 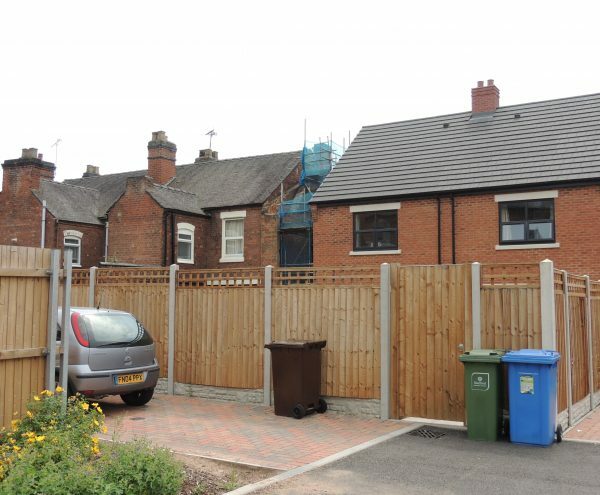 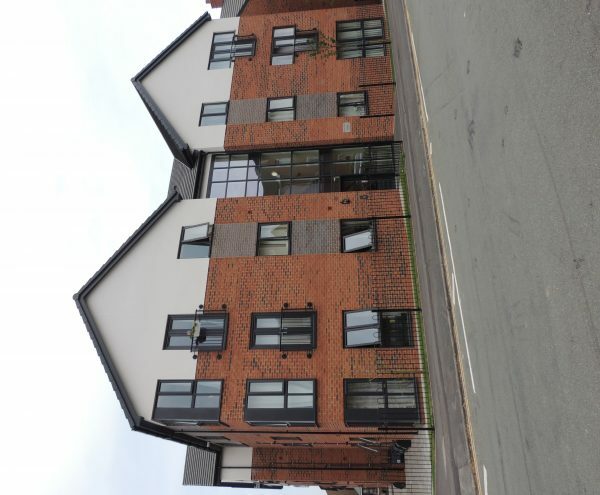 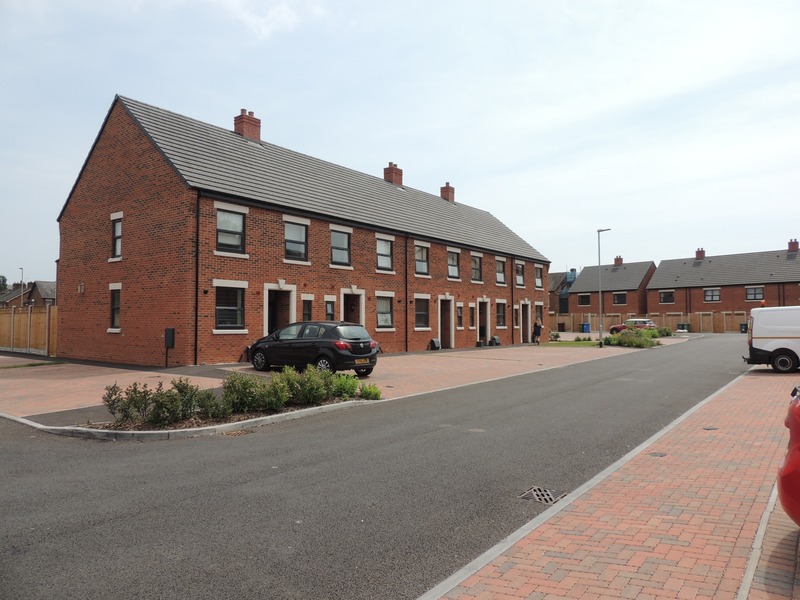 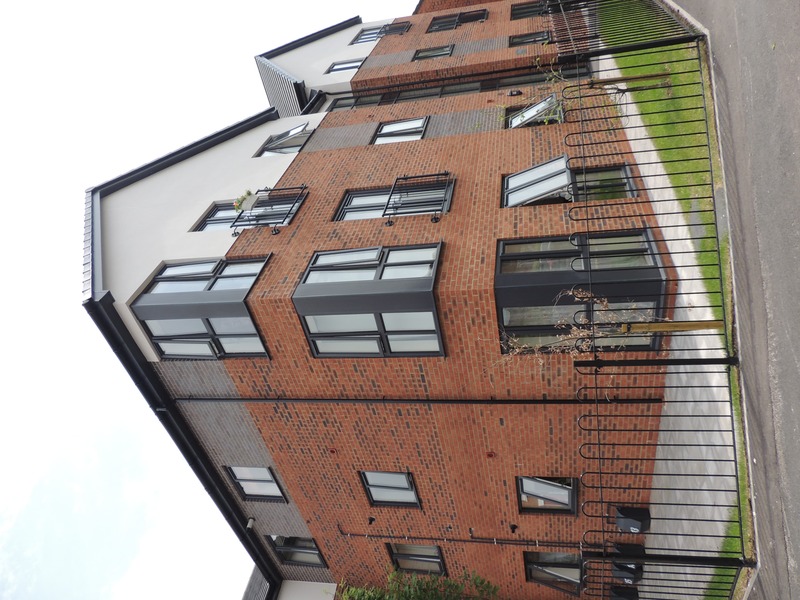 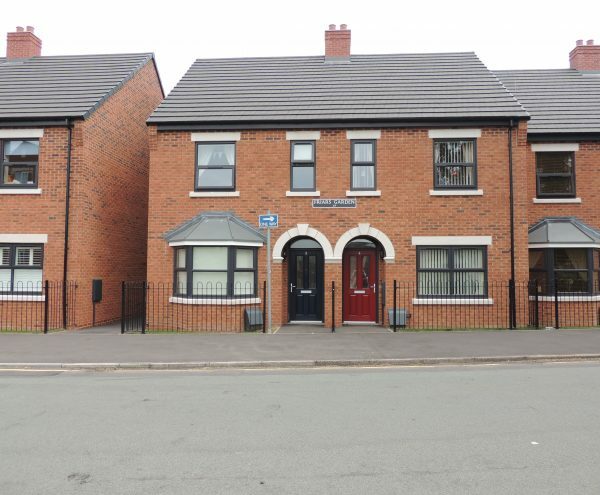 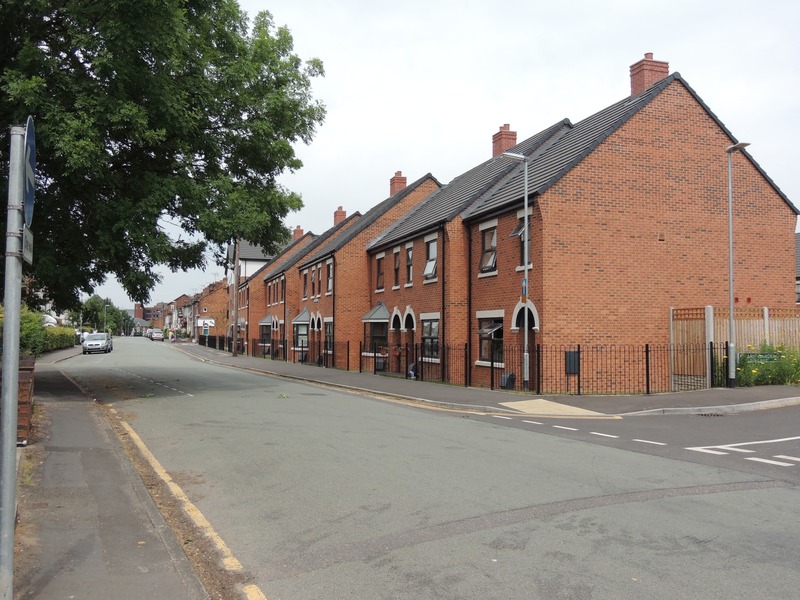 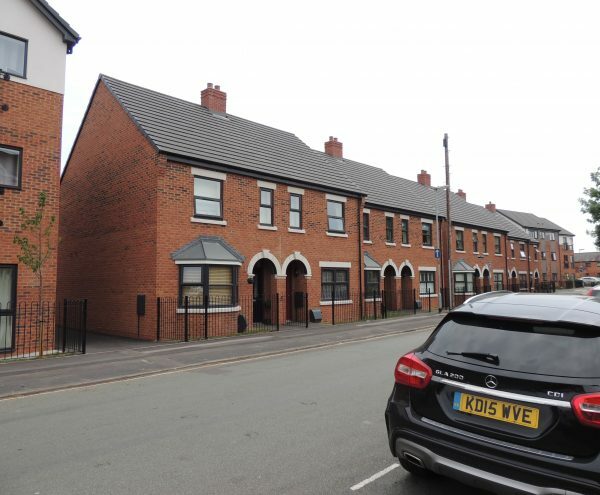 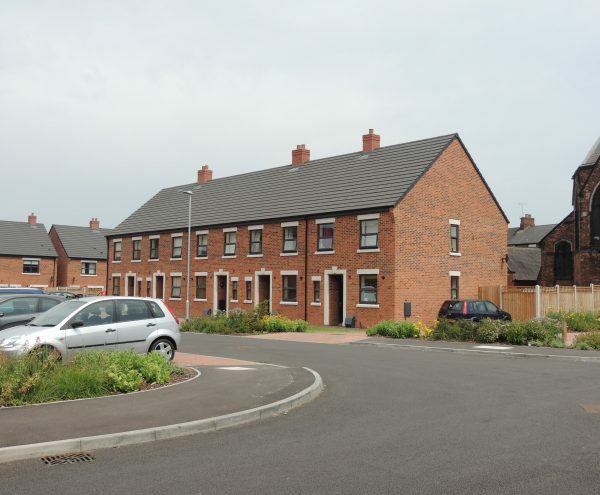 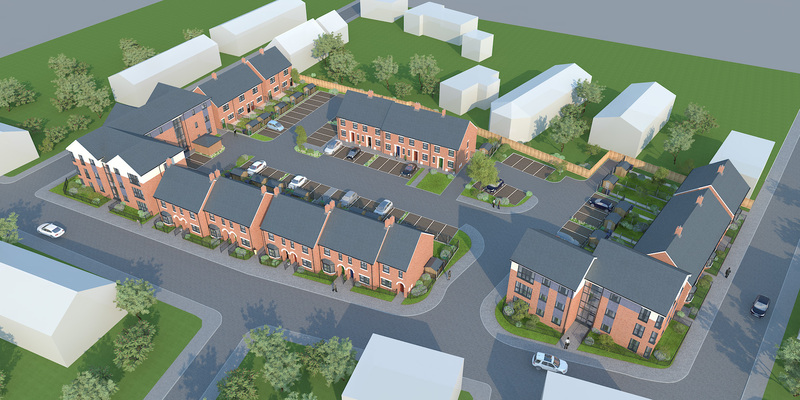 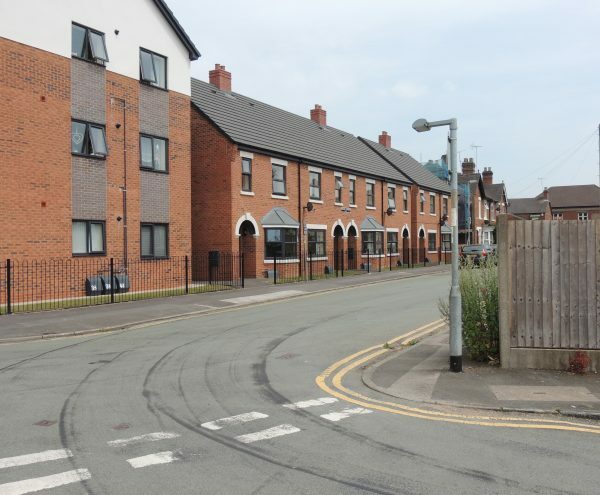 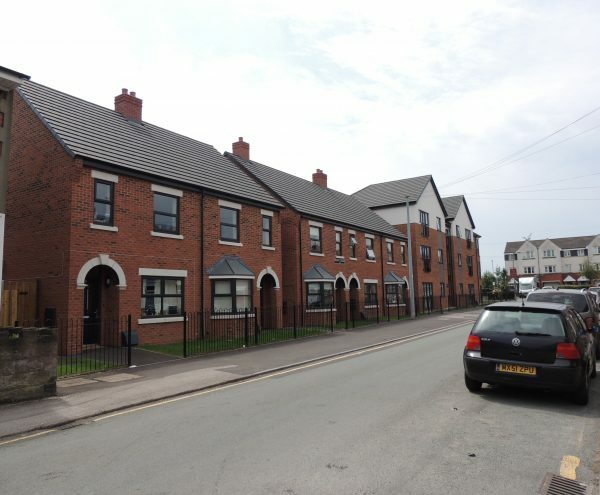 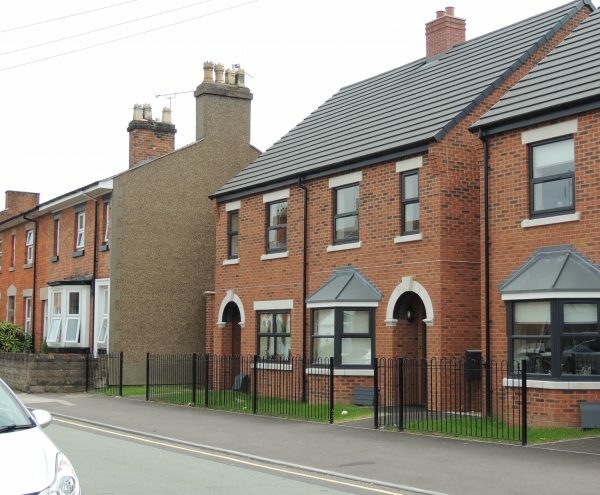 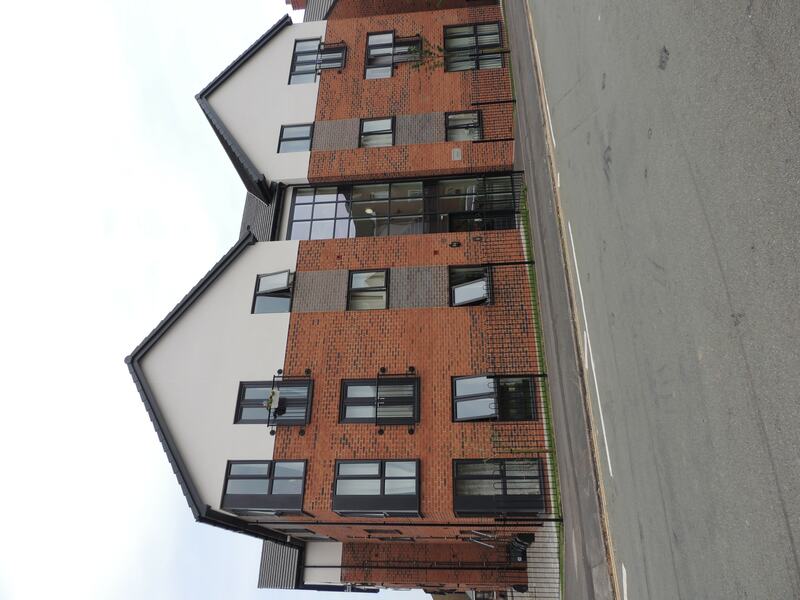 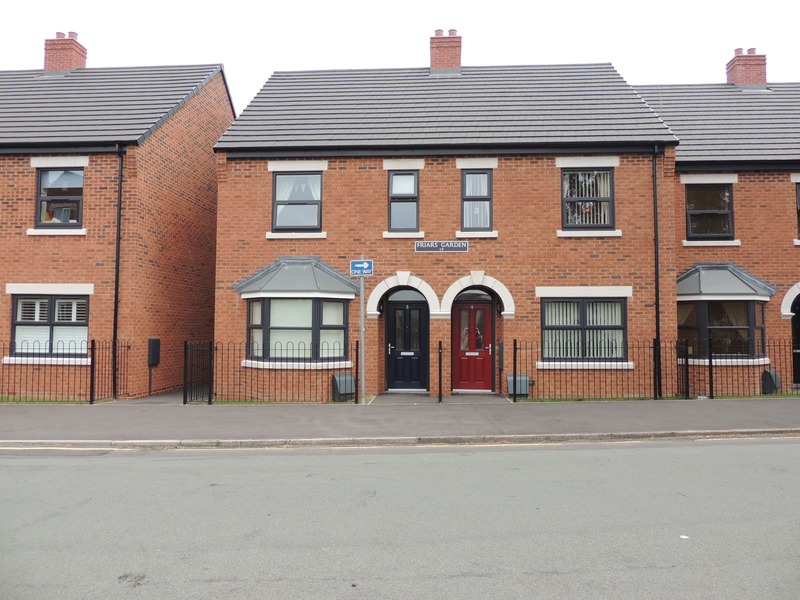 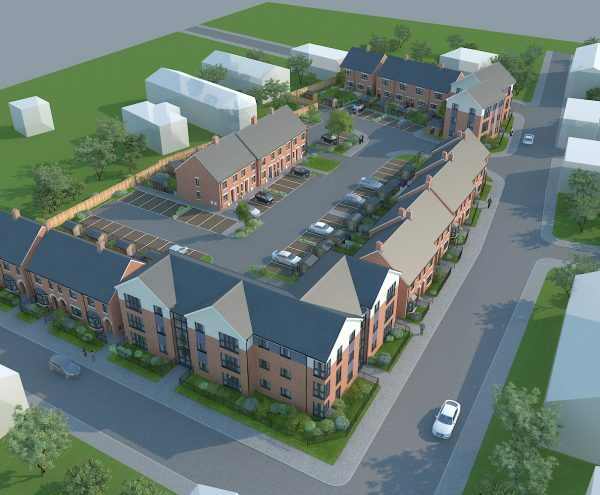 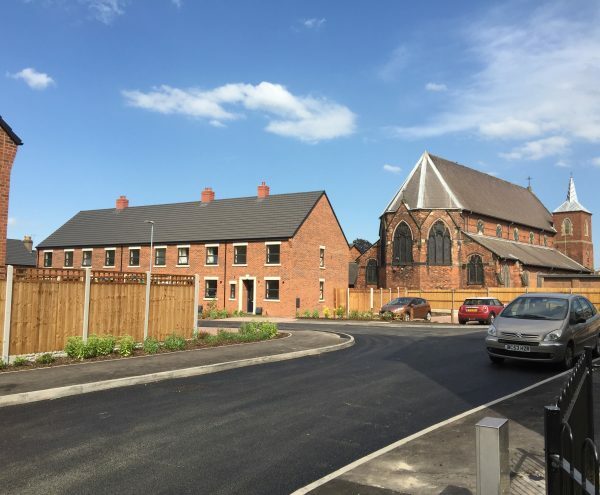 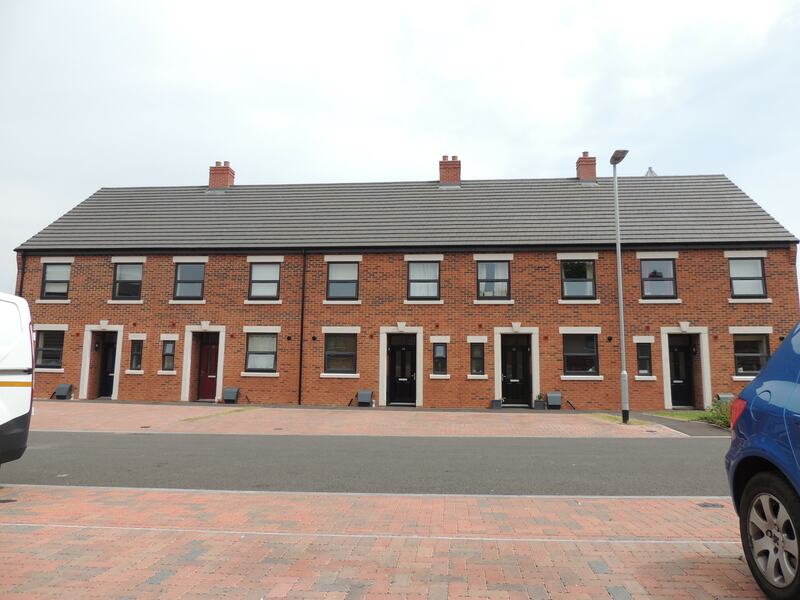 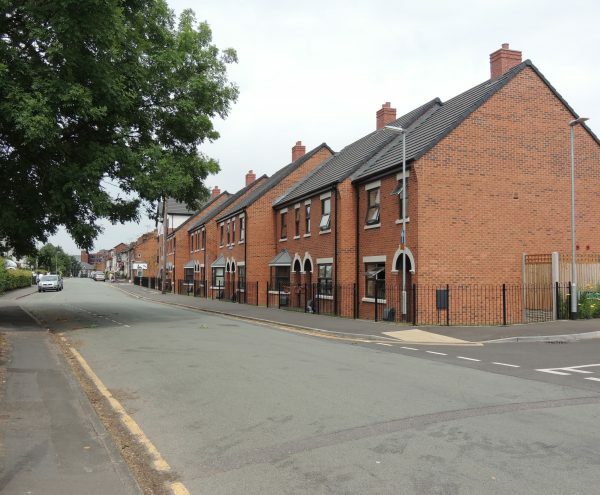 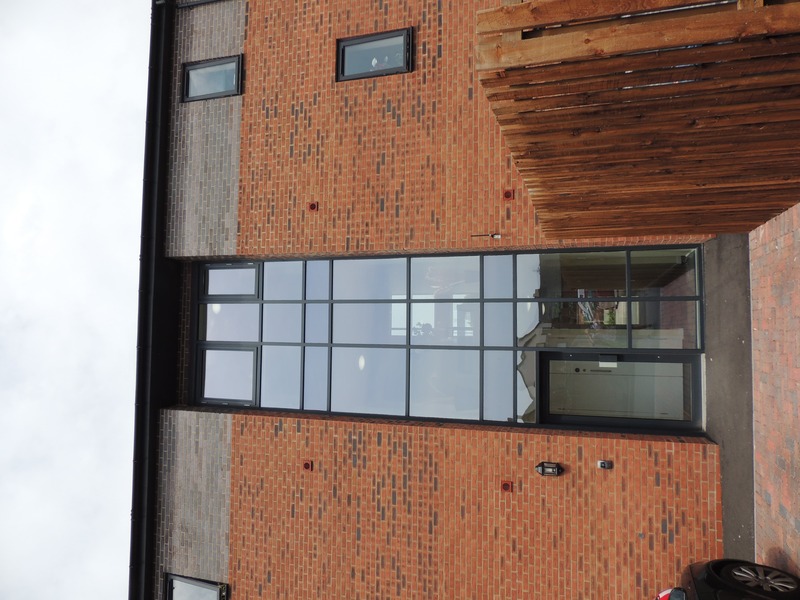 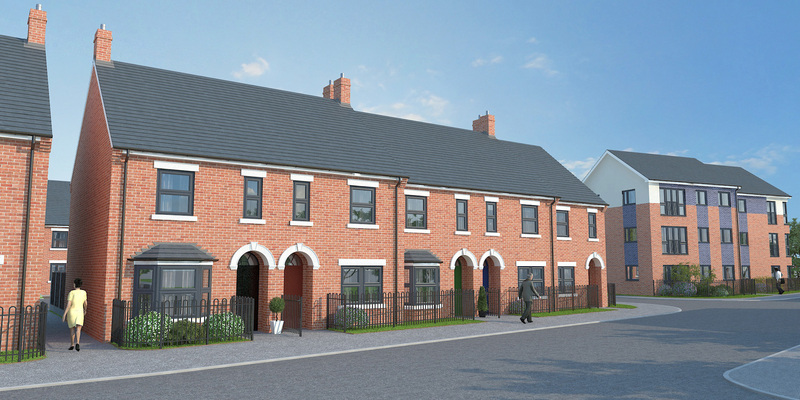 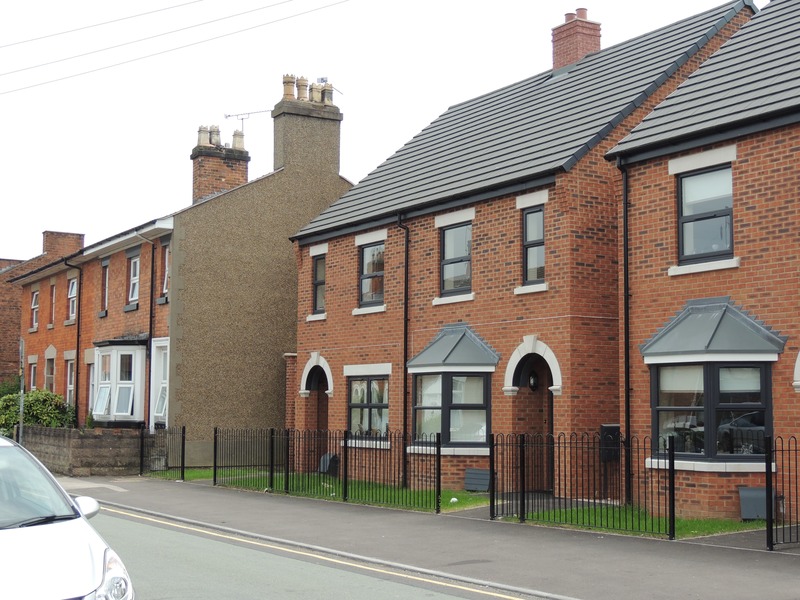 Barnett Ratcliffe Partnership were appointed by Stafford and Rural Homes to obtain planning permission, building regulations approval and assist the contractor during the contract phase of the work to develop 43 affordable homes, including 25 houses and 18 apartments. 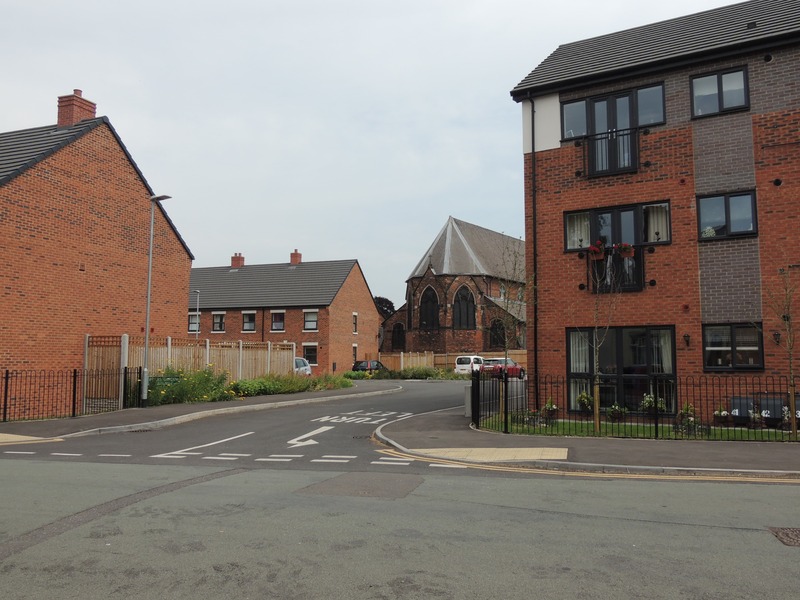 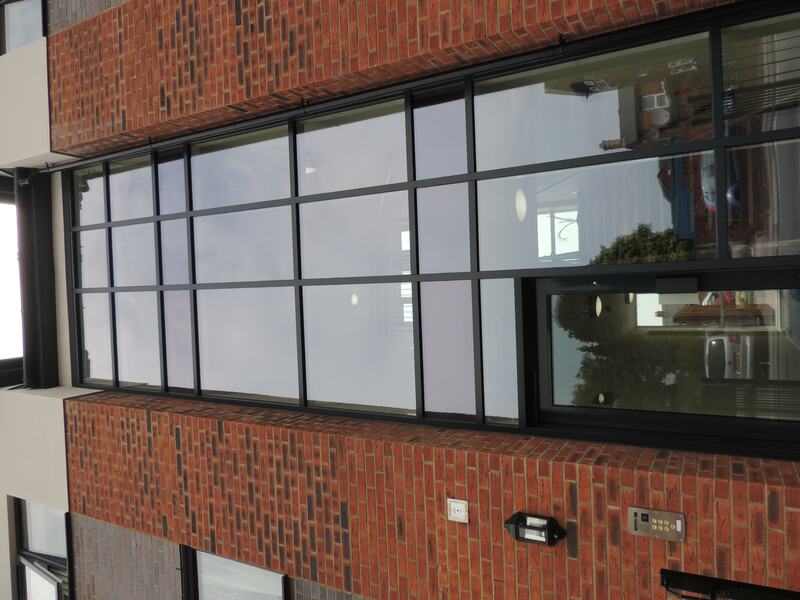 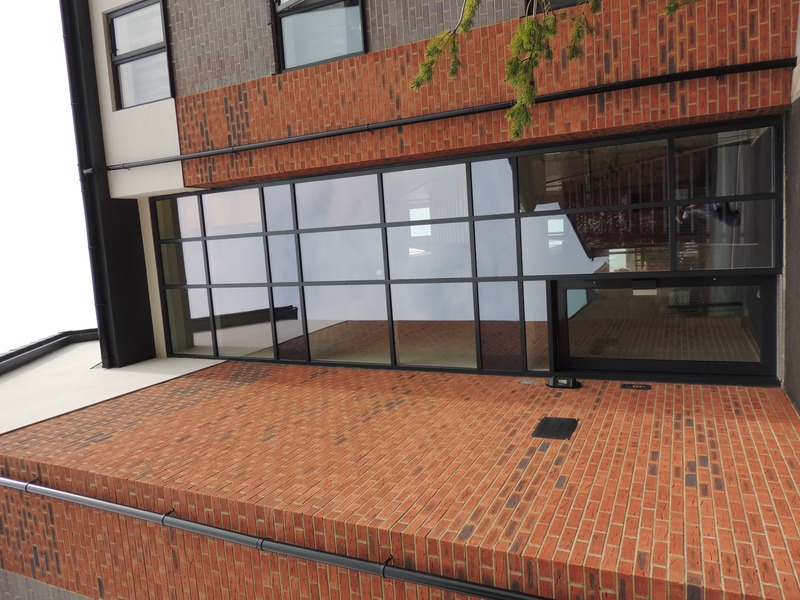 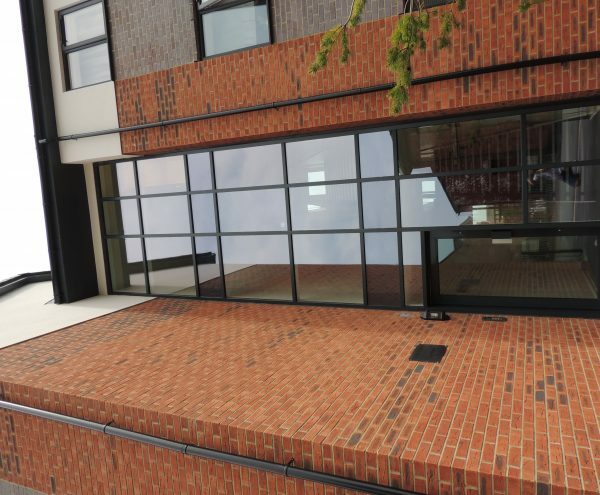 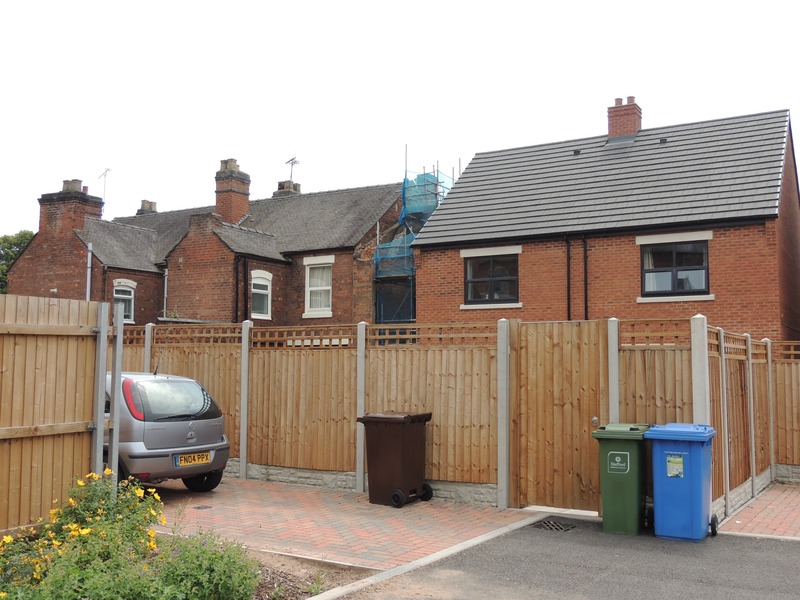 Barnett Ratcliffe Partnership were appointed by Stafford and Rural Homes to obtain planning and building regulations approval for the demolition of a former library and the development of 43 affordable homes in its place. 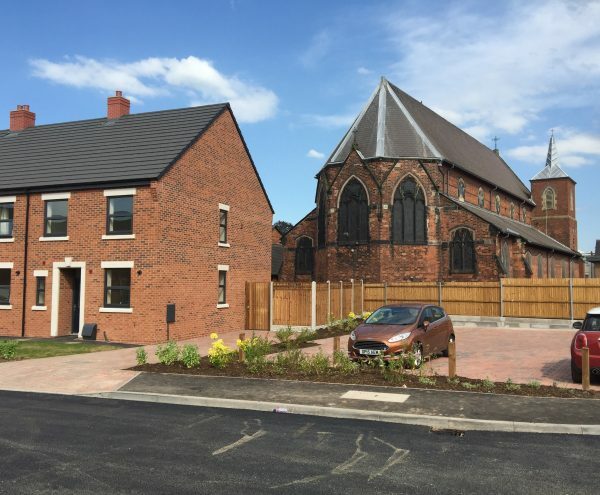 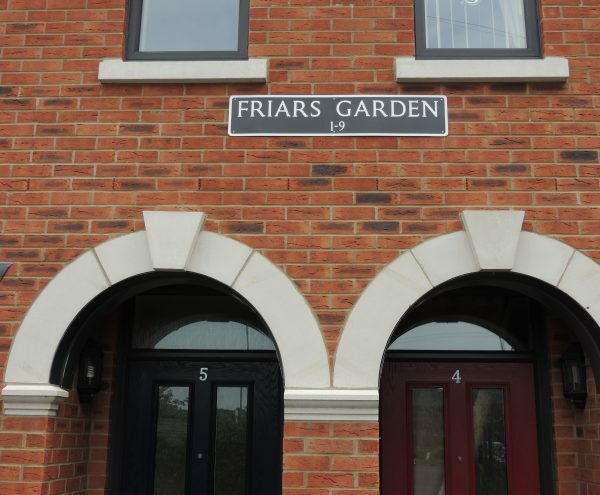 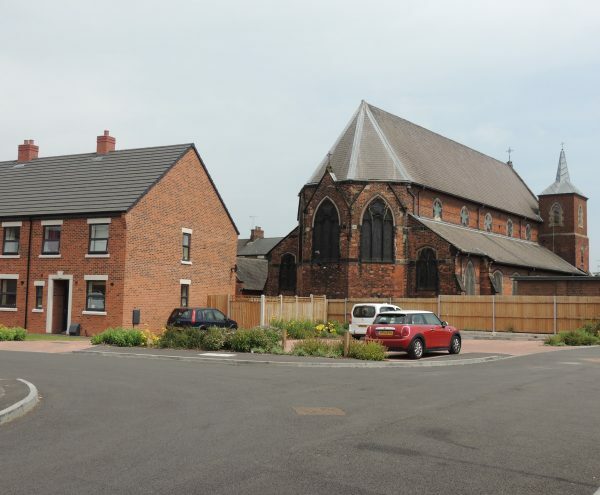 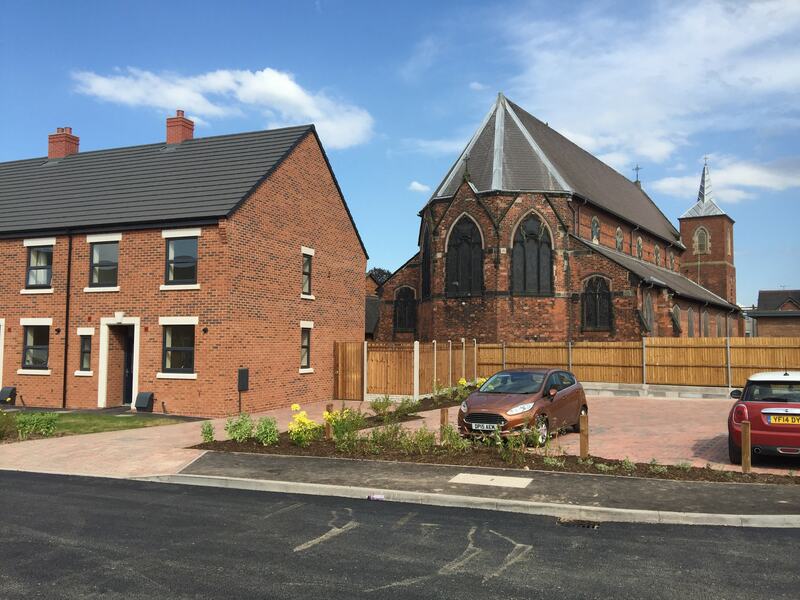 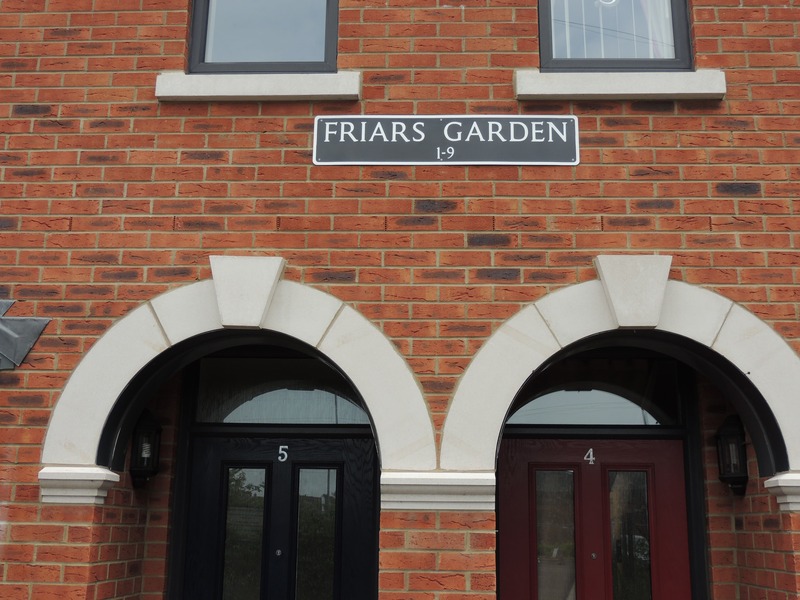 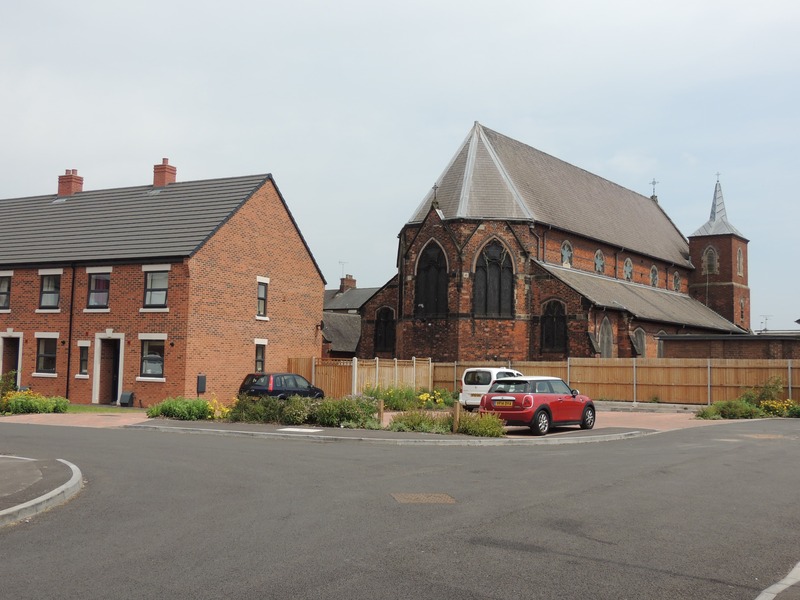 As the site was directly adjacent to existing terraced properties and the Grade II listed Saint Austin Church careful planning and construction methods were introduced to ensure that surround properties were not disturbed. 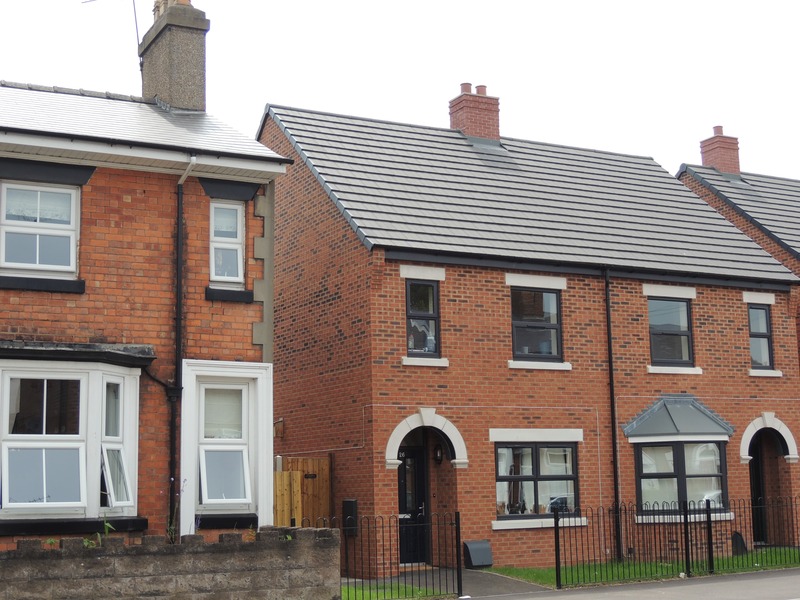 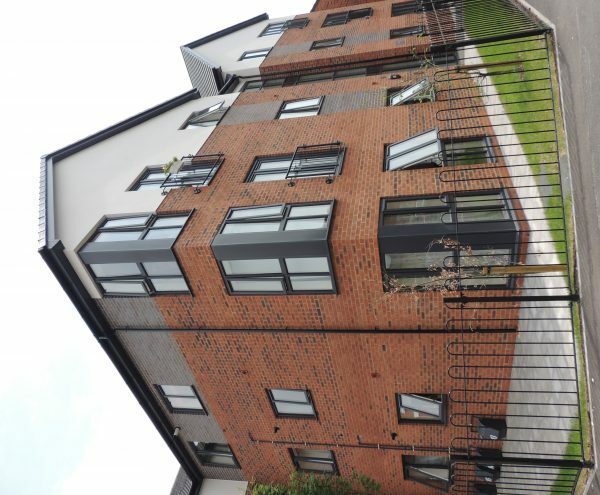 With a development of 25 houses and 18 apartments, this project was complex and required professional and accurate planning. 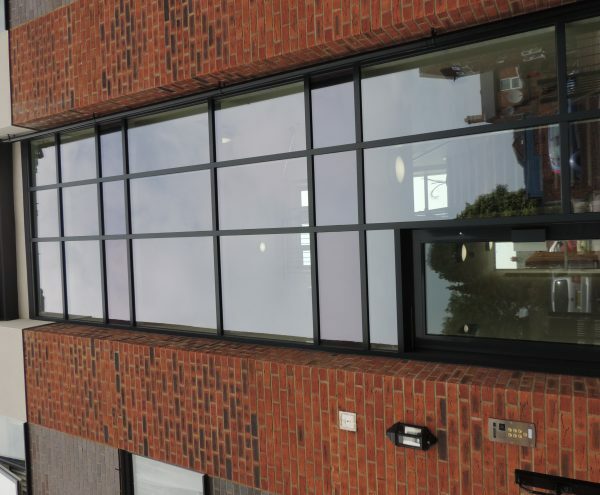 As a result, we were novated to the contractor to ensure total continuity of quality throughout the project and to provide technical support.